The following Eulogy on Jimmy’s life was written by Ron Hamilton, and read by Ron at Jimmy’s funeral on Wed 28th May 2014. The funeral was held at the Ryan Community Centre, Kirwan, Townsville, and conducted by Fr. Dave Lancini. Jim was born in Tamworth and his interest in theatre began as a pupil at Tamworth High when he appeared in various student productions. One of his teachers was a member of the Tamworth Dramatic Society, and was directing a production of a Midsummer Night’s Dream. He asked Jim to take on the role of Puck, and although, according to Jim, “they had to explain the text to me because I didn’t always understand what Shakespeare was going on about”. He was a success in the role and it whetted his appetite for more. He became a member of the Tamworth Dramatic Society and appeared in several of their productions, but as many of his friends were in the Tamworth Musical Society Jim decided to follow suit and give that avenue of theatre a try. Although he started in the chorus of shows like Rose Marie, The Desert Song and Rio Rita, he soon progressed to playing the comedy leads in Showboat, Oklahoma and The Student Prince. While he was a member of the Tamworth Musical Society, Jim was working for the music firm of Paling’s as a sales rep in both Tamworth and Sydney. In 1958 he was transferred to Cairns to manage Grice’s Music Store, a division of the Paling’s organisation. Once in Cairns, Jim joined the Cairns Little Theatre; mainly, he told me, to get to know people, which is always difficult when one is a newcomer to town. For the Cairns Little Theatre, he appeared in the comedy Ring Round the Moon, and had his first taste of directing a show, when he presented an evening of songs from musical comedies. 1959 saw him move to Townsville where he managed Grice’s Townsville store. It was in 1959 that I first met Jim. He performed in a play called The Vigil, presented in May of that year by the Townsville Genesians, one of our city’s amateur theatre groups at that time. I saw the play at the final performance and went backstage to congratulate the cast. I knew most of them and the director. Jim invited me to come along to the cast party at his place so I did. It was quite a party!! He hadn’t been in Townsville very long, and from memory, there was only a dining room table and six chairs, one settee and, as I recall, two pianos. But plenty of floor space and front steps to sit on. Jim went on to make his mark in many local productions. He appeared as the hilarious Japanese interpreter in the Teahouse of the August Moon for St James Players, another local amateur theatre group. For the same company, Jim directed that great classic comedy of female cattiness, The Women. With a huge cast of 30 females one could be excused for thinking there’d be more drama off-stage than on, but Jim told me the whole cast were a joy and a delight to work with, and only let rip and bared their claws when they were on stage. But it was for his work in several Townsville Choral Society productions that most people will remember him. 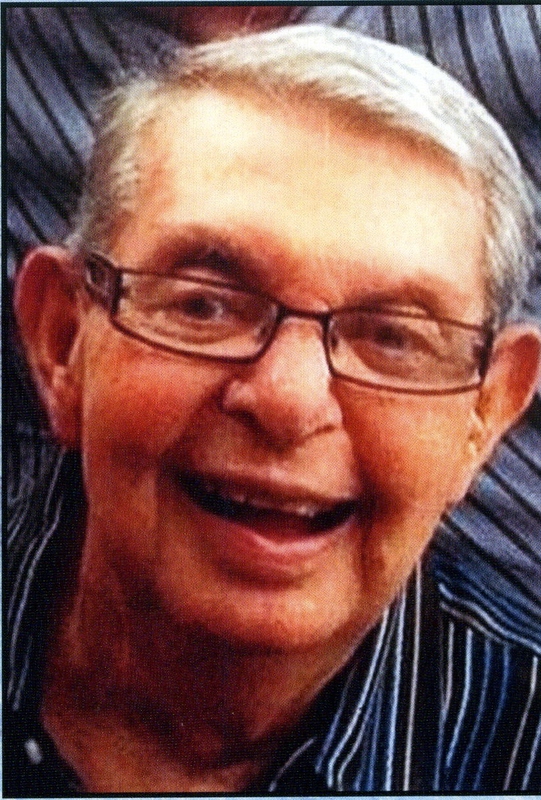 His comedy role in Rose Marie was described by the Townsville Bulletin’s theatre critic as “a comedy sensation that had the audience roaring with laughter”. His mad-cap genius for comedy was repeated in Oklahoma and The Merry Widow, but the peak of his Choral Society appearances would have to be Luther Billis, the fast talking conman/sailor in South Pacific. To quote once again from the Townsville bulletin he “stole the show and brought the house down in the number Honey Bun, with the controlled convulsions of his body and the expressions on his elastic countenance. This was the individual highlight of the production”. Being a chorus member of South Pacific, I can verify that the Bulletin’s comments were spot on. For the Honey Bun sequence, Jim was dressed as a not very glamorous hula girl, in grass skirt and a bra of two half-coconuts. He had a sailing ship painted on his stomach, and with incredible muscular gyrations, would make the ship sail across his stomach. His performance certainly did bring the house down. 1963 saw another change of direction in Jim’s life and career. He was informed by the Paling’s organisation that he was to be transferred back south. However, Jim had fallen in love with the North Queensland life style, so he left Paling’s and took a position with Suzanne Shoes, moving to Mackay as the manager of their store in that city. He hadn’t been in Mackay any time before the Mackay Little Theatre approached him with an offer to play the lead role in a drama called Johnny Belinda, the classic tale of a city doctor who comes to a small rural area and helps to rehabilitate a young deaf/mute girl. Jim told me his first reaction to the offer was negative, because he’d only ever played character roles with the emphasis on comedy. However, it was pointed out to him that none of the audiences in Mackay would know that fact, and after much urging, he agreed, treating the part as a challenge to show that he could extend his range. His performance was a success and well received, but he was soon back to doing what he really loved, appearing as Alfred Doolittle in Pygmalion and directing Teahouse of the August Moon and repeating his performance in the leading role. When the Mackay Little Theatre decided their bank balance could do with a transfusion of cash (what group hasn’t had those feelings at some time?) They called for fund-raising ideas from their members. Jim suggested they stage a musical, something the Mackay Little Theatre had never tried before. After some initial reservation, they decided to present the King and I, with Jim as director. It was a great success, breaking all previous attendance records for the group’s productions. Musicals then became a regular part of their programme, with Jim going on to direct Oliver, Annie Get Your Gun and Anything Goes, and appearing in The Merry Widow. Jim returned to Townsville in 1979 and became area manager for Williams the Shoeman, which had bought out Suzanne Shoes. Because the position involved constant travelling around North Queensland, he had to curtail his involvement in theatre for some time. However, he managed to fit in more memorable performances, namely in the Stage Door Theatre Restaurant’s production of The Odd Couple and as a member of the cast of their revue, Bits and Pieces. Once again, Jim stopped the show each night when he presented that wonderful old music hall comedy song, Nobody Loves a Fairy When She’s Forty. It’s an hilarious lament by a pantomime fairy who has to admit that because of her age and fading looks, she’s lost her appeal. The sight of Jim, dressed in a pink tutu and wings, plus magic fairy wand, flitting gracefully round the stage, was an experience not easily forgotten and had the audiences in an uproar. Another memorable performance came when he appeared for the North Queensland Ballet (now Dance North) as Dr Coppelius in the very popular ballet Coppelia. Jim rated this as one of the most difficult roles he’d ever played, mainly because, with no dialogue, every emotion and feeling had to be mimed and had to fit exactly to a given number of bars of music. It was a real challenge and something totally different to what he’d done previously. Apart from his vast stage experience, Jim appeared on television for 18 years, from 1967 to 1985, when he hosted Shoe News, a programme which looked at the latest in footwear fashion. It was screened in Cairns, Townsville, Mackay and Rockhampton. And if all that wasn’t enough to keep him busy, he studied ballroom dancing for over five years, winning gold medals for latin-american and new vogue. Jim was also part of the cast of a number of musicals for N.Q.O.M.T. They included The Best Little Whorehouse in Texas, Victor Victoria, and another show stopping performance in Cole Porter’s Anything Goes as a gangster called Moonface, public enemy number 13. He also played the part of Captain Andy in Showboat and there was some doubt as to whether he’d be on board on opening night. At the Monday night rehearsal in the Civic Theatre during a scene change blackout, Jim had a fall and broke his wrist. But the show must go on and two nights later, he took his place on stage for opening night. The success that Jim enjoyed in theatre, whether performing or directing, was not by sheer chance. I worked with him on many occasions and found that he had a thoroughly professional approach to his work. Whether you were acting with him or directing him, he spared no effort to “get it right”. For Jim, the lights have now dimmed and the final curtain has fallen, but he will long be remembered for his contribution to the North Queensland theatre scene.